This simple root can provide many health benefits..the most talked about is reducing pain from inflamation.. The following article has excellent information regarding this wonder spice. Curcumin: Fraud or Health Wonder? In case you missed it, lately there’s been a big brouhaha about curcumin – a natural compound found in the spice turmeric that is reputed to have powerful health benefits. Curcumin has been the focus of a large number of studies purporting to show its effects on cancer, brain problems and other maladies. But when a researcher at the University of Minnesota, along with scientists from other schools, took a close look at these scientific papers, she decided there was less than meets the eye. She and her colleagues concluded that the best studies she could find didn’t really prove there was much if any benefit from taking curcumin. Poor design was one of their main objections to the studies they analyzed. But even though the research paper found fault with the studies it examined and cast doubt on the benefits of curcumin, the mainstream press was quick to sensationalize and distort their coverage. Time magazine screamed "Turmeric May Not be a Miracle Spice at All." And Quartz claimed, "Forget what you’ve heard: Turmeric seems to have zero medicinal properties." Is there any substance to these charges? Their pain remedy, prized for thousands of years, could help you transform your body’s aches, pains and "can’t do that’s" into comfortable mobility. Turmeric, which is a complicated conglomeration of many different biochemicals, was never even the subject of the Minnesota group’s work. As the researchers put it, the best way to use turmeric (and test its health benefits), is to use the whole spice, not isolated compounds taken from it. In other words, the Minnesota researchers urged their fellow scientists to test turmeric in its original form, not to assume you can obtain therapeutic results when you isolate curcumin from turmeric. Their work suggests that isolated curcumin extract is not very effective. But it didn’t settle the question of whether whole turmeric is beneficial. You also have to remember there are plenty of other compounds in turmeric that are great for health. In another placebo-controlled trial, researchers showed that giving curcumin along with pepper to people with type 2 diabetes helped fight oxidative stress and could possibly enhance heart health and fight against the complications of diabetes.6 The addition of pepper is believed to help the body’s absorption of curcumin. 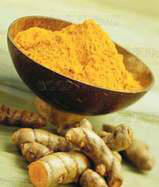 Another fact in turmeric’s favor is its use in Indian and Chinese medicine for thousands of years. All that clinical, real-life experience has some value as evidence. According to these traditions, turmeric is good for fighting inflammation, purifying the blood, stimulating digestion, easing joint pain, detoxifying the liver and healing wounds on the skin. So while researchers continue to argue over how best to study turmeric and the bioactive substances it contains, that doesn’t mean we shouldn’t put this venerable herb to work improving our health. It’s known that turmeric takes a while to be effective – months, for some people. It’s not a quick fix as in “Take two and you’ll feel better in an hour.” It’s a mild anti-inflammatory, but it’s safe, and can be used day after day, week after week, year after year. If you do that, you’ll feel the effects of its gentle magic steal over you. In alternative medicine, one of the hardest things is to persuade people to have patience, so used to instant results are we. You don’t heal by eating right for a week. You heal by eating right for years. And one of the most common comments we get here at Green Valley is, "I didn’t think much about it, then I just noticed one day I didn’t have pain anymore." Pain is a good thing to NOT have on your mind! Health Disclaimer: The information provided above is not intended as personal medical advice or instructions. You should not take any action affecting your health without consulting a qualified health professional. The authors and publishers of the information above are not doctors or health-caregivers. The authors and publishers believe the information to be accurate but its accuracy cannot be guaranteed. Be sure to check all the ingredients listed for the tumeric you choose..Avoid the ones with many fillers some products use..the main ingredient should be only tumeric..Capsules should be a vegatable product. The Lord has provided many natural foods and spice's to keep our bodies healthy and strong. Have you seen the TV advertising for a chicken company that talks about the spice's they put in the food and water...to keep their chicken's anti-biotic free !! ( I'll post information about thyme and oregano soon). We absorb so many of the chemicals our animal food source's are being fed..it's important and wise to make informed purchase choices regarding what the animals are being given to enhance growth etc. Also, our vegetable's and fruit's are being sprayed with toxic chemicals..to provide bigger crop yields, and less spoilage before it gets to the consumer.